#000 SILVER Metallic 500 yds. #000 SILVER Superior Metallic 1090 yds. #002 LIGHT GOLD Metallic 500 yds. #002 LIGHT GOLD Superior Metallic 1090 yds. 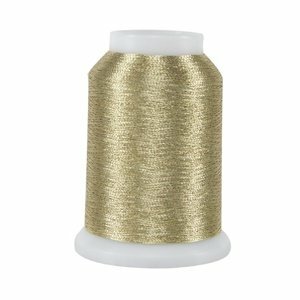 #007 GOLD Metallic 500 yds. #007 GOLD Superior Metallic 1090 yds. #008 LILAC Metallic 500 yds. #008 LILAC Superior Metallic 1090 yds. #009 MILITARY GOLD Metallic 500 yds. #009 MILITARY GOLD Superior Metallic 1090 yds. #011 VIOLET Metallic 500 yds. #011 VIOLET Superior Metallic 1090 yds. #013 MAUVE Metallic 500 yds. #013 MAUVE Superior Metallic 1090 yds. #016 ANTIQUE GOLD Metallic 500 yds. #016 ANTIQUE GOLD Superior Metallic 1090 yds. 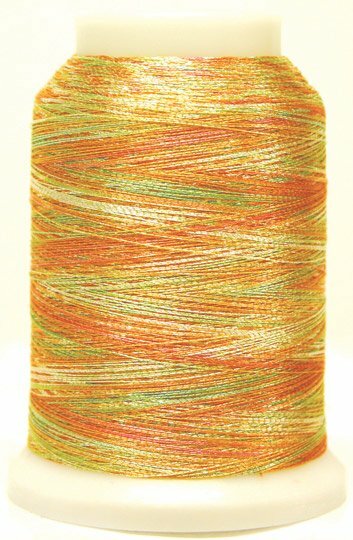 #024 GREEN APPLE Metallic 500 yds. #024 GREEN APPLE Superior Metallic 1090 yds. #025 VARIEGATED GOLD Metallic 500 yds. 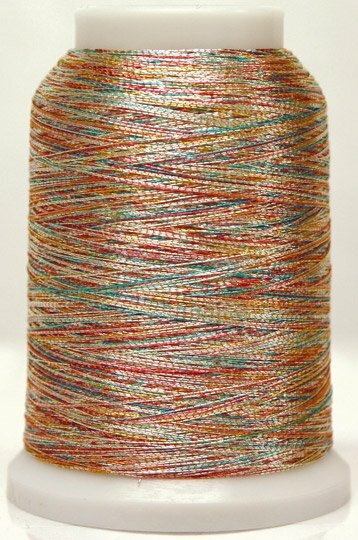 #025 VARIEGATED GOLD Superior Metallic 1090 yds. #027 EMERALD Metallic 500 yds. #027 EMERALD Superior Metallic 1090 yds. #028 JADE Metallic 500 yds. #028 JADE Superior Metallic 1090 yds. #029 NEW! 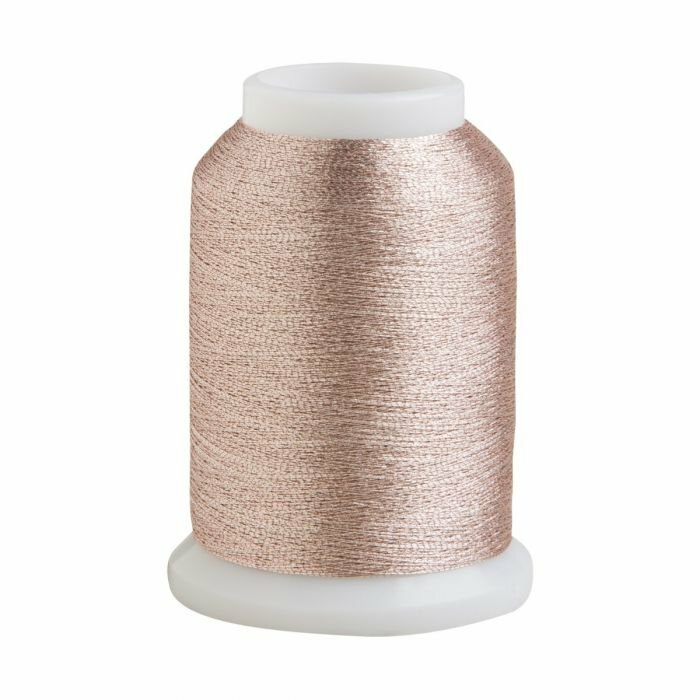 ROSE GOLD Metallic 500 yds. 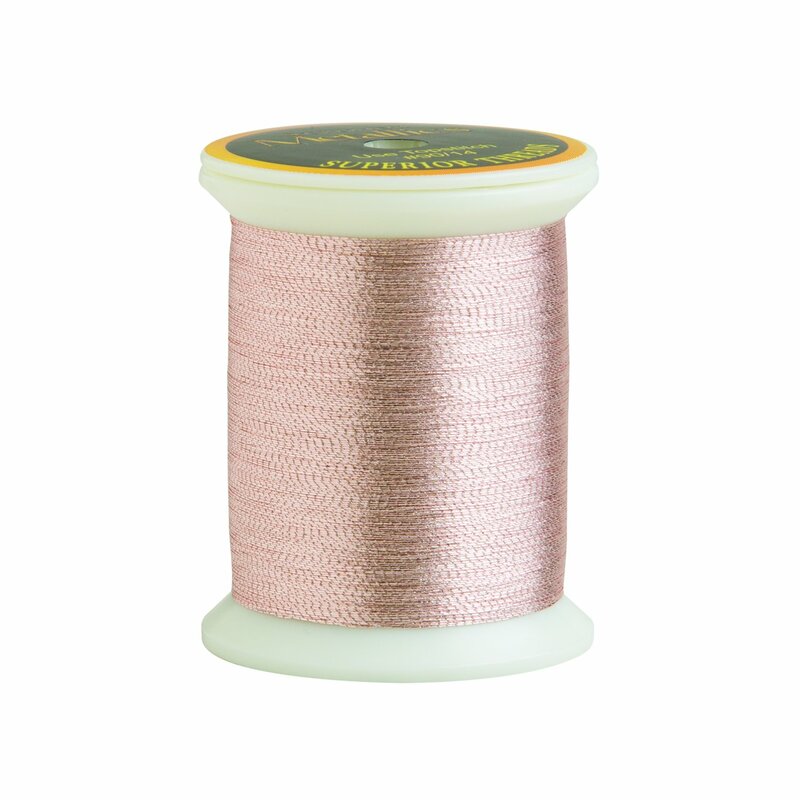 #029 ROSE GOLD Metallic 1090 yds. #030 HUNTER GREEN Metallic 500 yds. #030 HUNTER GREEN Superior Metallic 1090 yds. #031 VARIEGATED SILVER Metallic 500 yds. #031 VARIEGATED SILVER Superior Metallic 1090 yds. #033 SLATE Superior Metallic 1090 yds. #035 PACIFIC BLUE Metallic 500 yds. #035 PACIFIC BLUE Superior Metallic 1090 yds. #036 ROYAL BLUE Metallic 500 yds. #036 ROYAL BLUE Superior Metallic 1090 yds. #038 SAPPHIRE Metallic 500 yds. #038 SAPPHIRE Superior Metallic 1090 yds. #049 CARNATION Metallic 500 yds. #049 CARNATION Superior Metallic 1090 yds.